Welcome to episode 128 of The Chumpcast! 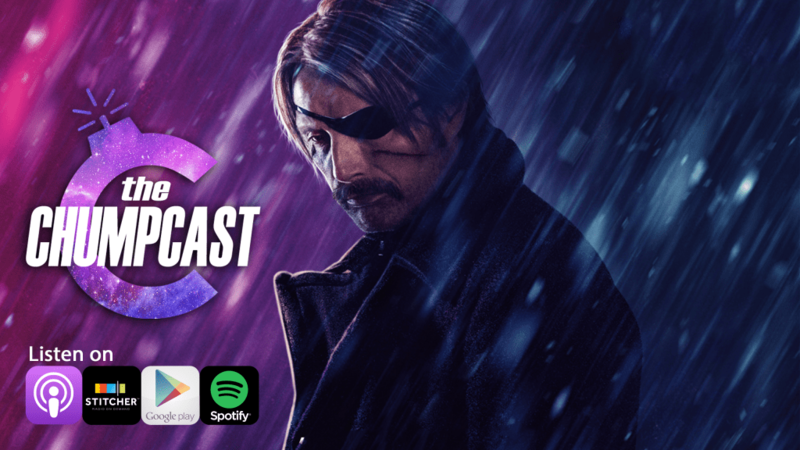 We’ve got a big one for you this week as we discuss how birds aren’t real, the NFL is fixed, Fyre Festival documentaries, and review Mads Mikkelsen’s Netflix murder fest, Polar. Spoilers for Polar from 1:11:45 until 1:21:15, but make sure you hang around afterwards for some weekly recommendations. Our buddy Chu hopped on to help out, so make sure you check him out at ChuVideos.com. If you want more fresh content before everyone else, check out patreon.com/thechumpcast! You can find us on all social media platforms @thechumpcast. You can also call or text us at 847-920-6107. If you leave us a good enough voicemail, you might hear your voice on a future episode.